This is a non-accredited training course. Students who complete this course will receive a Certificate of Completion. This certificate is issued by Pinnacle Safety and Training (RTO 40496). Health and Safety Committees (HSCs) allow businesses to work together with workers on health and safety matters. 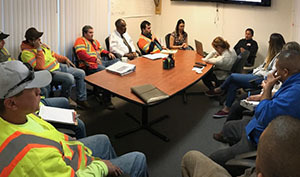 The main functions of a committee are to facilitate cooperation in developing and carrying out measures to improve the health and safety of workers. Not all members of organisations are aware of, or understand the purpose, functions or responsibilities of the HSC. 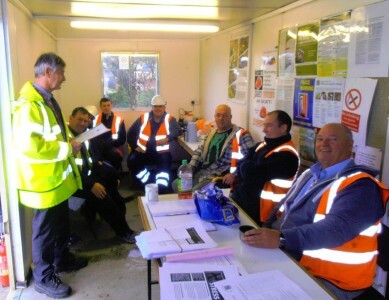 After attending this training they will, as our course is focused on detailing those responsibilities and how to form and function as a health and safety committee. Our Work Health and Safety Committee (HSC) training course is designed to provide an overview of the functions, responsibilities and roles that contribute to a successfully functioning committee. Developing practical consultation and communication skills. Do you want your training customised and applied to your industry type? This course can be customised and tailored to suit organisational policies/procedures relevant to health and safety committee functions and matters. This is not a mandatory requirement and simulated examples will be provided as part of the course material. We encourage you to bring along your own work examples as detailed above.